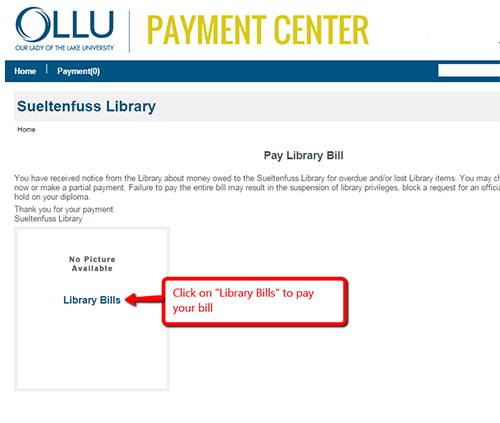 Step 1: After clicking the "Pay Your Library Bill" button at the top of the page, click the link for "Library Bills". 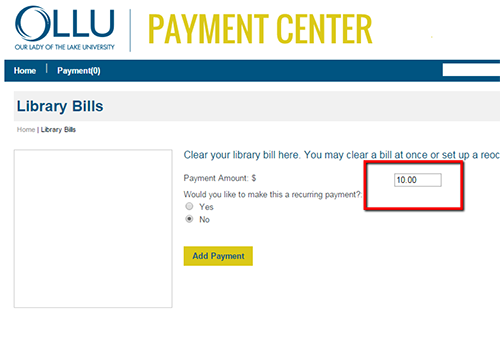 Step 2: Enter the amount of your library bill, or the amount that you want to pay at this time and click "Add Payment". 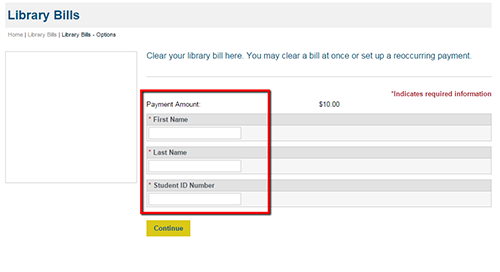 Step 3: Enter your first and last name and your Student ID number and click "Continue". 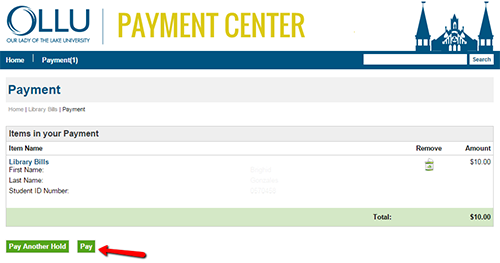 Step 4: Review your payment information and click "Pay". 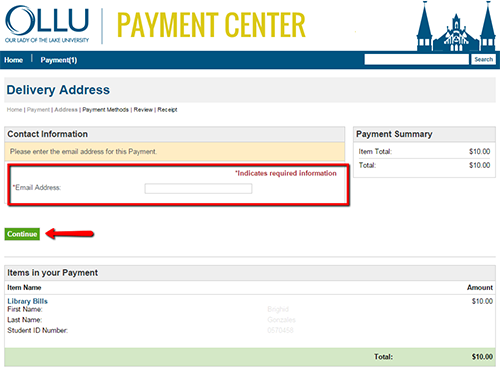 Step 5: Enter your email address and then click "Continue". 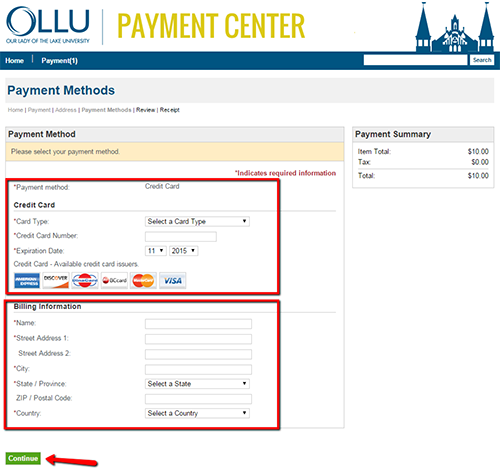 Step 6: Enter your credit card information and billing information, then click "Continue" to process your payment.